GREENVILLE, Texas–(BUSINESS WIRE)–Feb 4, 2019–American Renal Associates, LLC (“ARA”), a national provider of outpatient dialysis services, announced today the opening of its newest clinic, Hunt County Dialysis Center, located at 3301 Ridgecrest Rd., Suite 1, Greenville, Texas. This clinic can be contacted at (903) 455-0579. An Open House at this new location will be held on Thursday, February 28, 2019 from 4:00 to 6:00 p.m., and patients, family members, the medical community, and anyone interested are welcome to stop by for a tour. The facility, Hunt County Dialysis Center, is a joint venture between ARA and Dallas Nephrology Associates (“DNA”). This state-of-the-art facility has been constructed to accommodate 17 in-center dialysis stations, as well as two home dialysis training rooms. Dr. Bruce Wall will serve as the medical director of this facility, and Dr. Steven Gieser and Dr. Timothy Ellington are on the medical staff. Dialysis provides a life-saving therapy to patients suffering from kidney failure. 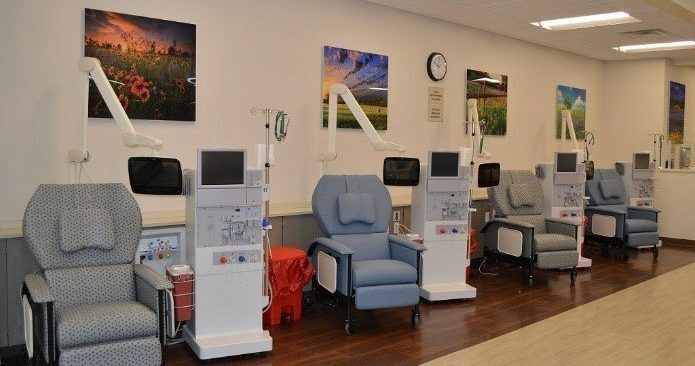 This facility will provide all forms of dialysis for our patients, both in-center and at home. Working closely with our physician partners and through our network of over 235 dialysis facilities, including seven in partnership with Dallas Nephrology Associates, American Renal Associates provides dialysis treatments to over 16,000 patients in 26 states and Washington D.C. Our Core Values emphasize taking good care of patients, providing physicians with clinical autonomy and support, and hiring the best possible staff to provide the ultimate dialysis experience. For more information about the services we provide, or for information about a facility near you, we invite you in North Texas to visit our website at www.americanrenaldallas.com.